Advisory work, valuations, historical descriptions and more. 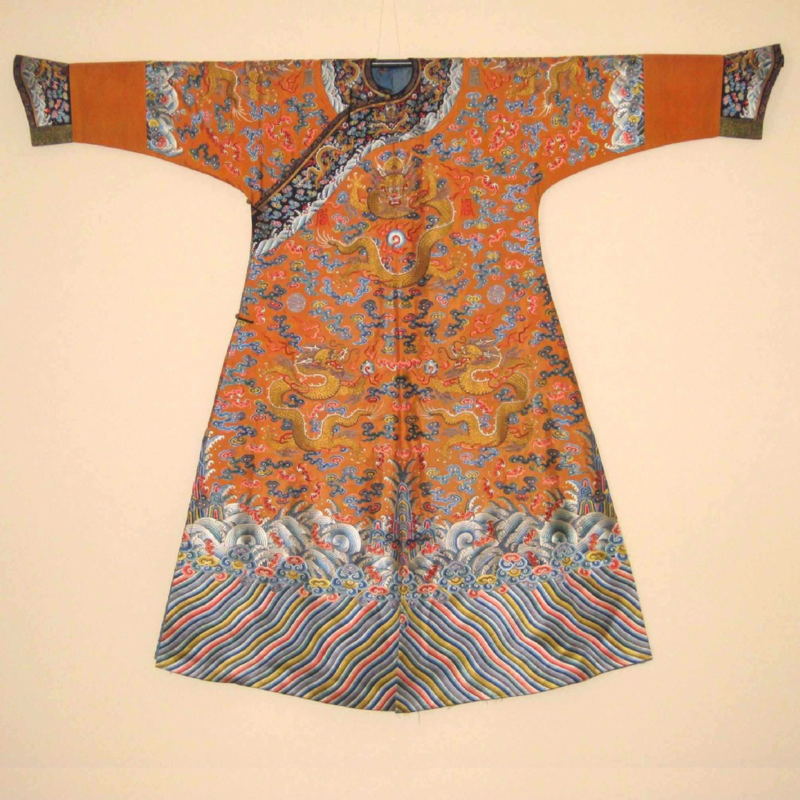 Over the past Forty or so years my love of Antique Chinese costume and textiles has not wavered for a moment. Though most of you know I have now semi retired to follow my equal passion of the study of Buddhism. 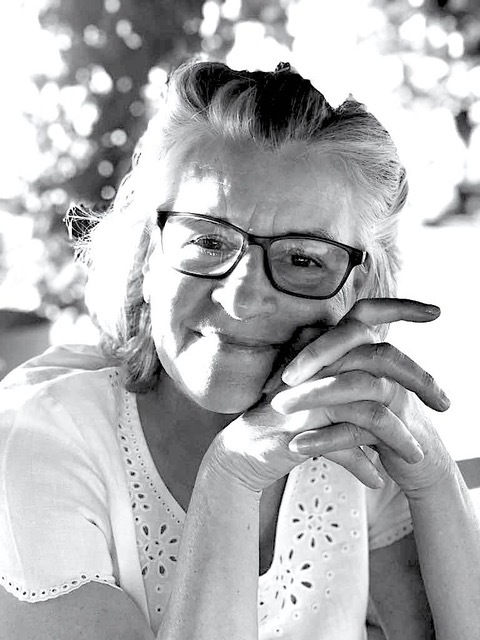 However, I do feel it is my still my ‘job’ to share with you my thoughts and expertise that these years in the textile world have given me. It all began in 1976 when I saw my first dragon robe in a storage box wrapped around a piece of precious porcelain. 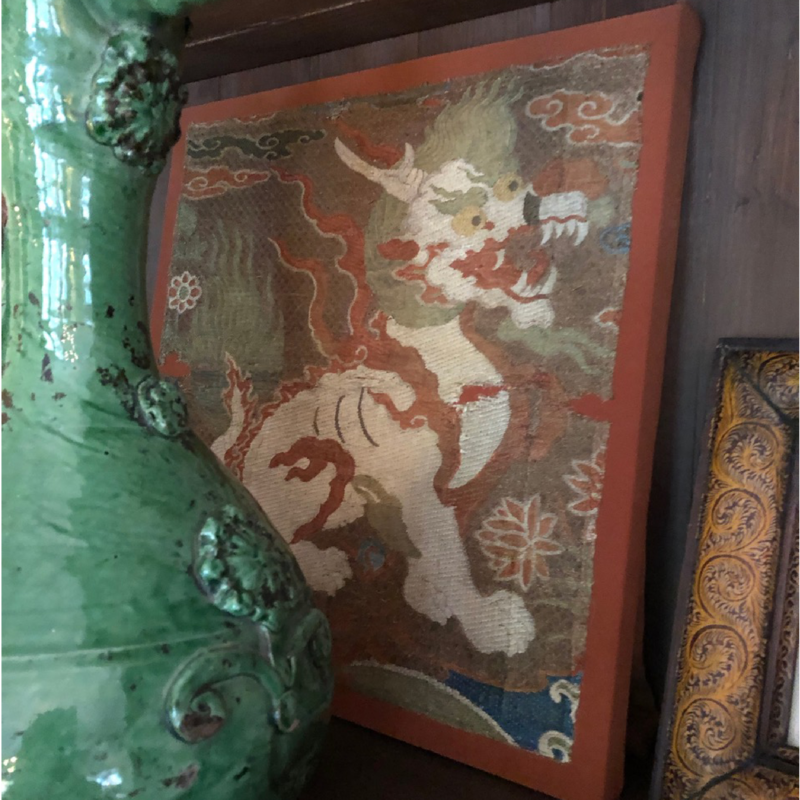 Putting the vase aside my eyes focused on the robe, the intricate embroidery, the dragons and clouds it was in my mind ‘just magnificent’ and I wanted to know more. After a few years of exploring the subject and working for a most extraordinary lady called Roberta Deste-Appleby from her store on Bond St London she allowed me to explore these silks as they entered her shop and she gave me the confidence to follow my dream, alongside another kind friend George and my dear parents supporting a head strong young lady to open her own business in October 1978 selling Antique Chinese costume and textiles of the Qing period 1644-1911…. When the gallery was in full swing during the 80’s and 90’s, my various staff members Gary, Sarah, Michele, Fran, Ginny, Frankie, to name but a few, were always doing research and contemplating the age of this or that textile or robe and who wore it or not and why and of course keeping the back office organised! Over the years we wrote many articles for magazines, created catalogues for our own exhibitions around the world and of course the lengthy appraisals we wrote against each important textile or costume we ever sold. 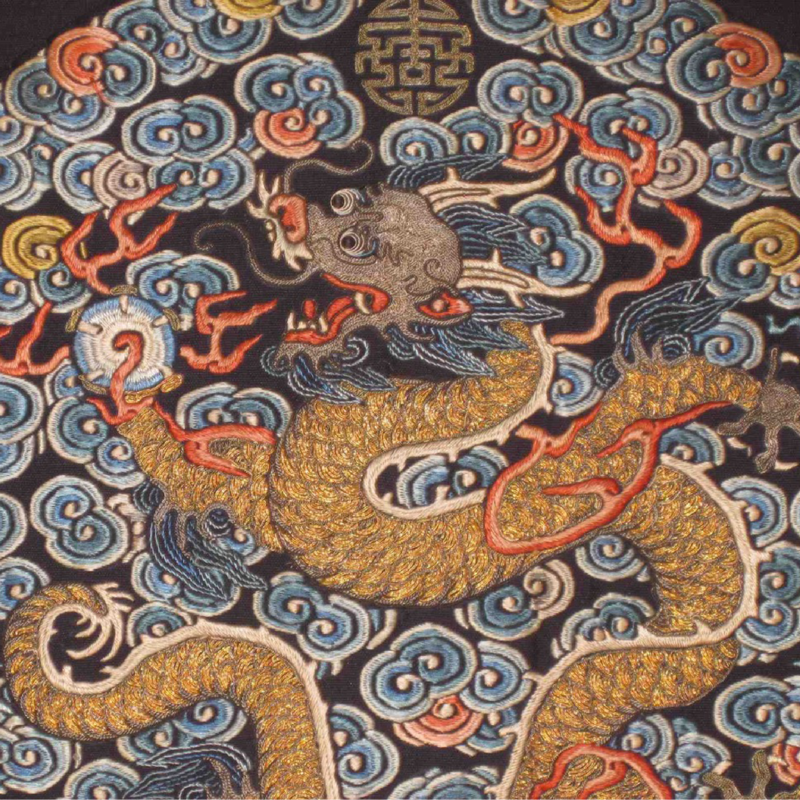 Though the Qing dynasty Imperial wardrobes were our primary focus we also loved the Ming period 1396-1644 as it felt these textiles were the ‘father and mother’ from where the Qing period elements arose. 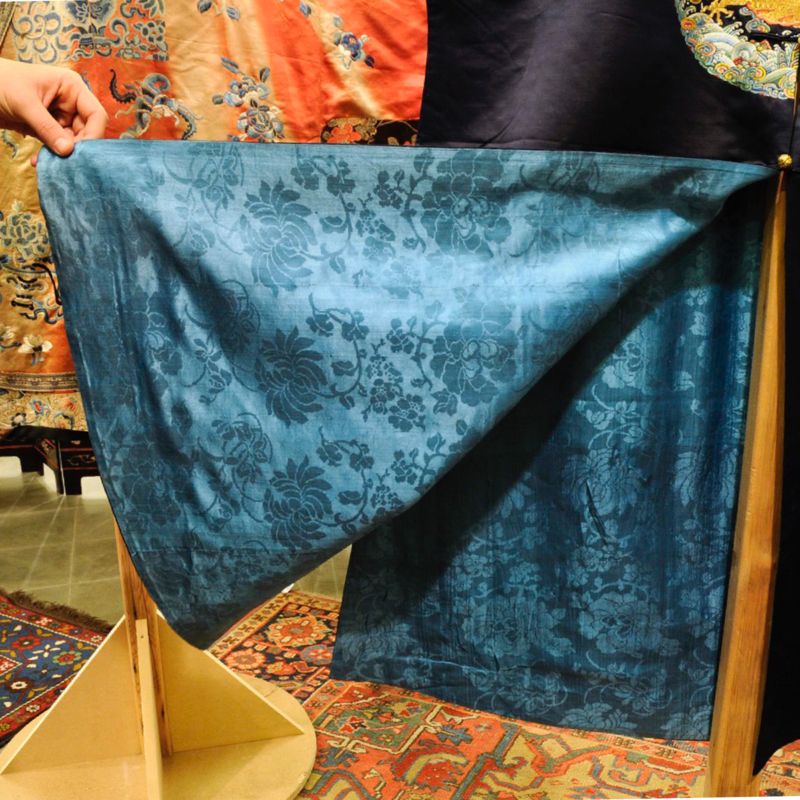 We understood both gave us a complete platform to date and describe with confidence the deep complexity of technique and design of the Qing period silks. The business took us around the world experiencing extraordinary people places and meeting collectors who without them I would not be where I am today. 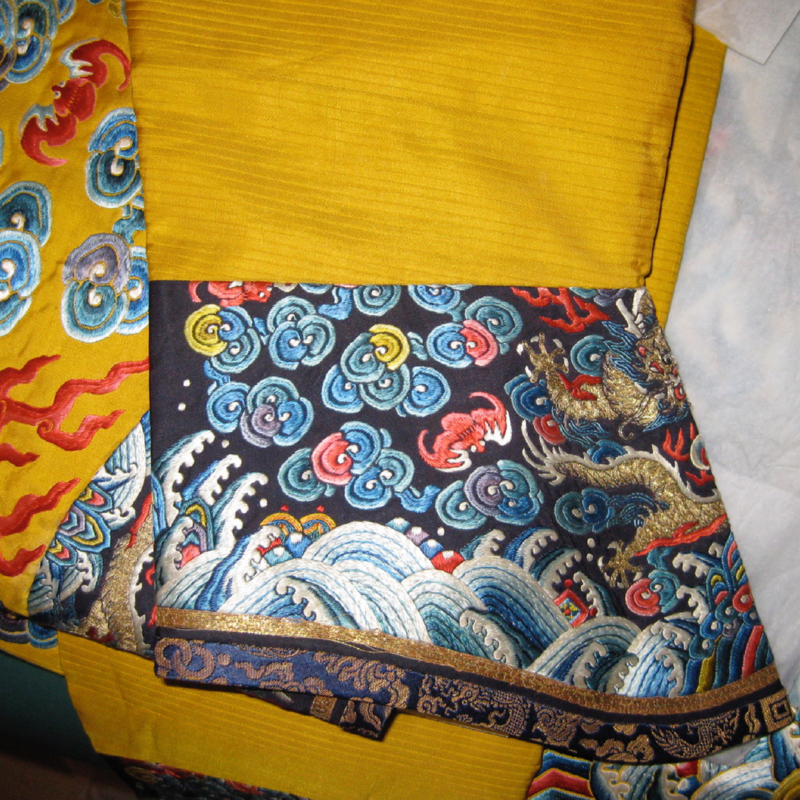 With great appreciation I remain devoted to the preservation and historical knowledge of Chinese Costumes and textiles though now it is not my full time job. Time came to hang up ‘one’s hat’ of gallery life and in March 2008 Linda Wrigglesworth Ltd had a single owner sale at Christies New York and the company was dissolved at the height of its success. I was told once upon a time by a wise oriental friend it is better to exit just before one reaches the pinnacle of success because after which the only way to go was down. So sitting on the newest bough just sprung from the trunk of an incredible tree I let go and ‘retired’. However, I promised my collectors that I would be contactable to help if they ever needed support or advise with their collection. Several years on I am still helping. 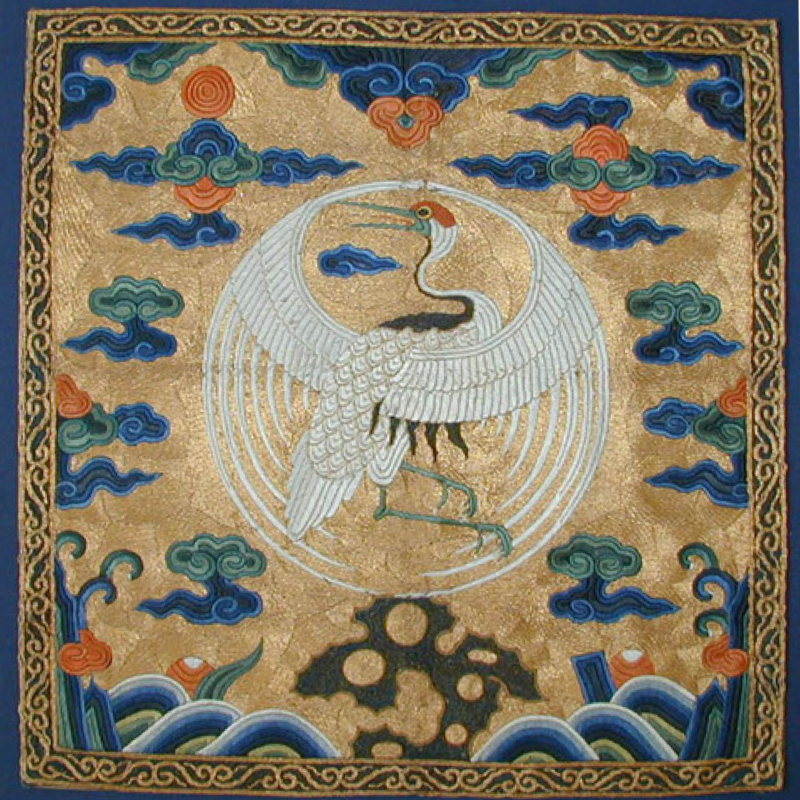 The Consultancy work I can do for you today can help you bring your Chinese textile or costume to life and historically place it in a context and appraise its value for both saleability, insurance or historical knowledge. What we can offer is for your benefit to enhance your interest in selling, appraising or collecting and achieving your goal with the piece you share with us. Our advisory service can take you through from assessment to sale we will hold your hand all the way and always act for you, our client, to get the best possible outcome for you. agreed up front and information is shared.